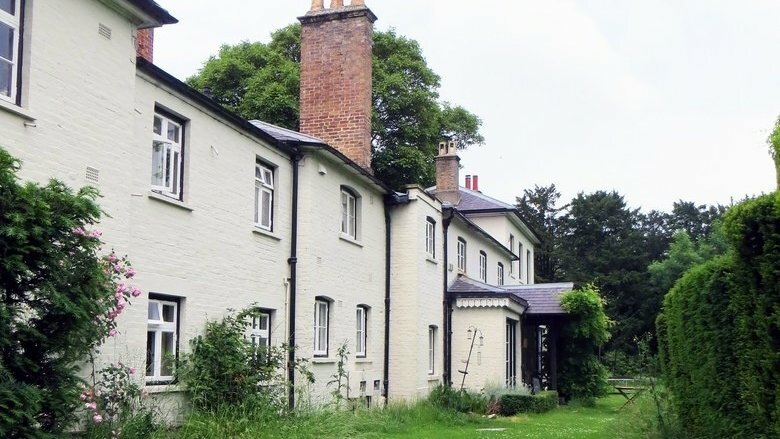 Kensington Palace announced that Prince Harry and Meghan Markle will move into Frogmore Cottage, a home on the grounds of Frogmore House, a satellite estate of Windsor Castle. Frogmore House is where the couple held their evening wedding reception on May 1, 2018. We are so thrilled that Megan Markle and Prince Harry will be decorating their first home as a married couple. We are so excited to see how Meghan and Harry merge her modern American sensibility with his English Royal roots. According to the Palace, interior decorating will be covered by the couple. Based on Meghan Markle's sartorial choices, we have a hunch that she will mix high and low at home too. 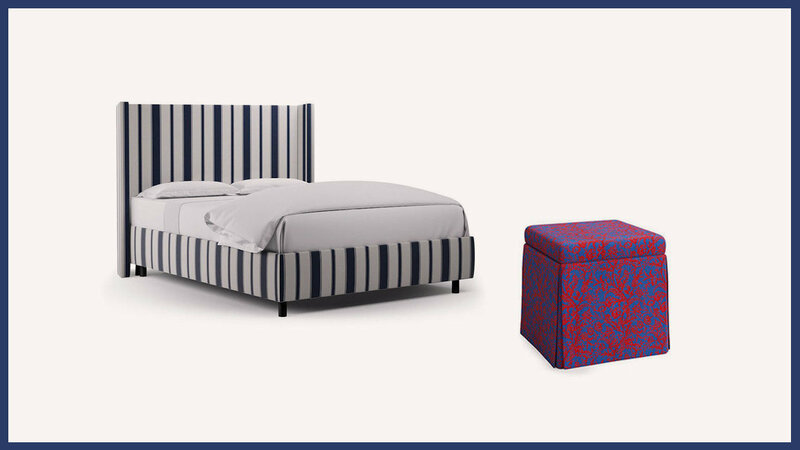 Here are our picks for the bedroom. 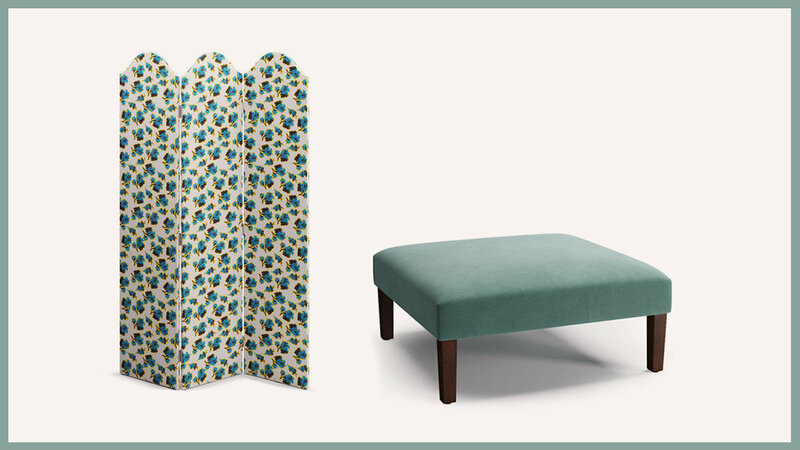 Mixing a Scalloped Screen in Acid Floral by Peter Som with a tailored Cocktail Ottoman in Aqua Velvet is the perfect Manor mix. 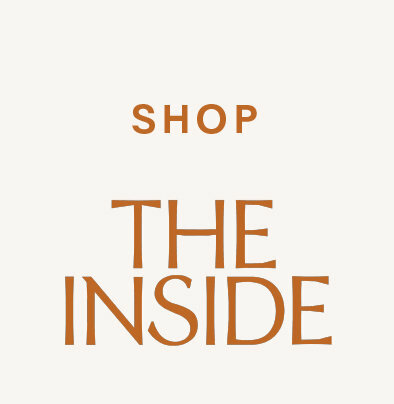 A little modern floral for Meghan and some luxe velvet for Harry offer the makings of a chic, trad, and cozy living room for Netflix and nesting.